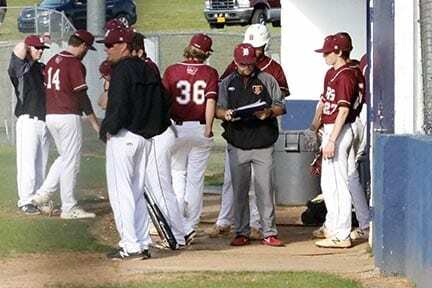 The Tigers of Dawson made the trip to West Hall High School on Monday to face the 15-4 Spartans in a non-region game 1 of a 2 game series. The Spartans were coming in on a hot streak by winning 7 in a row and 9 of their last 12 and continued to be on fire in this one. The Tigers sitting at 9-9 were hoping to right the ship so to speak and get back above .500 ball. Today just wasn’t the day. 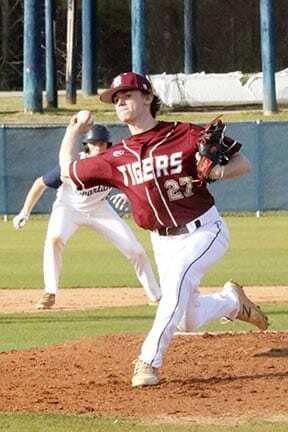 The Tigers sent Cameron Moore to the mound and he pitched his heart out leaving everything he had in each pitch. It seemed that everything Moore threw the Spartan hitters were waiting for it. Moore was tagged for 12 hits-0 walks-3 hit batsmen and 10 runs(3 of which were unearned). 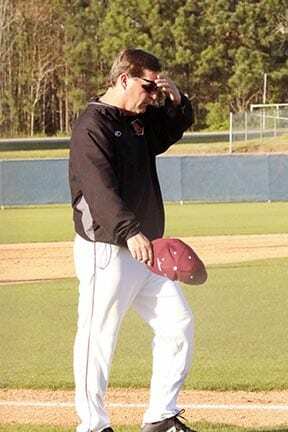 The Defense of the Tigers struggled at times committing 2 errors in the game. 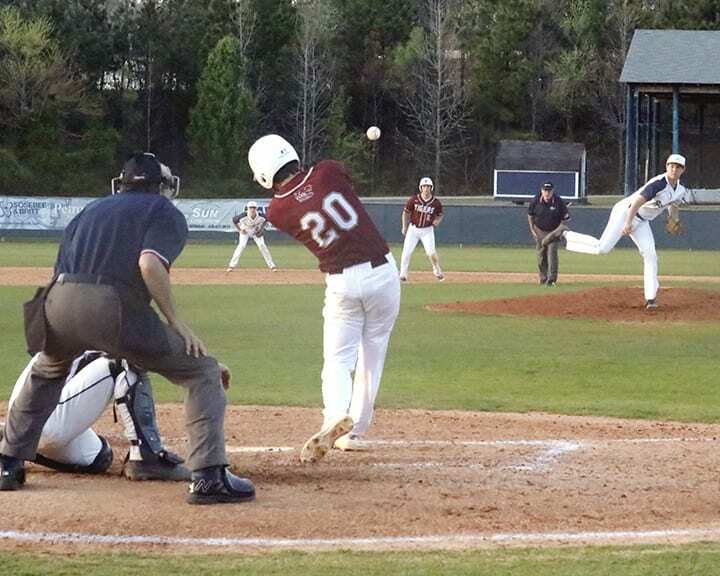 Offensively for Dawson, Hudson Sapp, Chandler Caine, Kristian Kelley and Connor Bearden all reached with base hits. 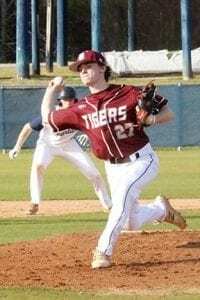 All three runs for the Tigers are attributed to Connor Bearden(See Photo Below) by way of a creature home run in the sixth inning. Bearden launched the ball over the right centerfield fence plating 3 for the Tigers. The loss for the Tigers sets them at 9-10 and looking to get back to .500 on the season when they face the Spartans at home on Wednesday 4-4-18. Game time is set for 5:55 pm.